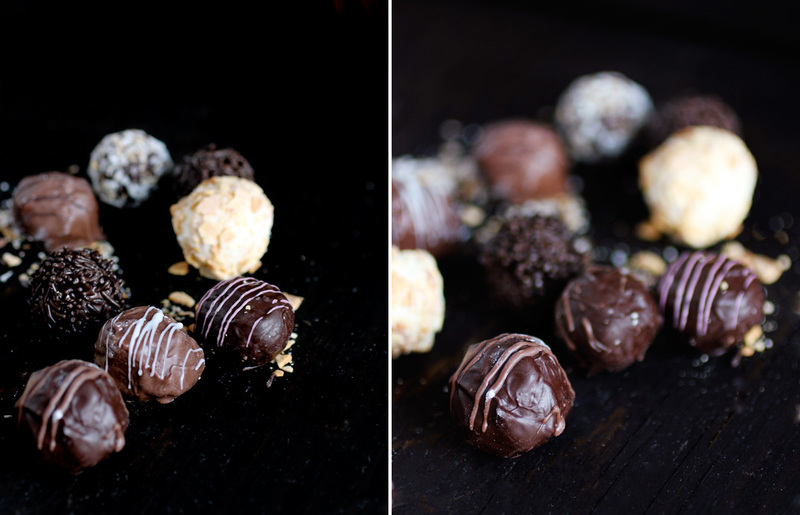 The novelty of photographing everything I bake at school soon wore off. However, the novelty of eating everything I bake at school has not worn off for my father, and I recently brought home a few things I considered picture worthy. 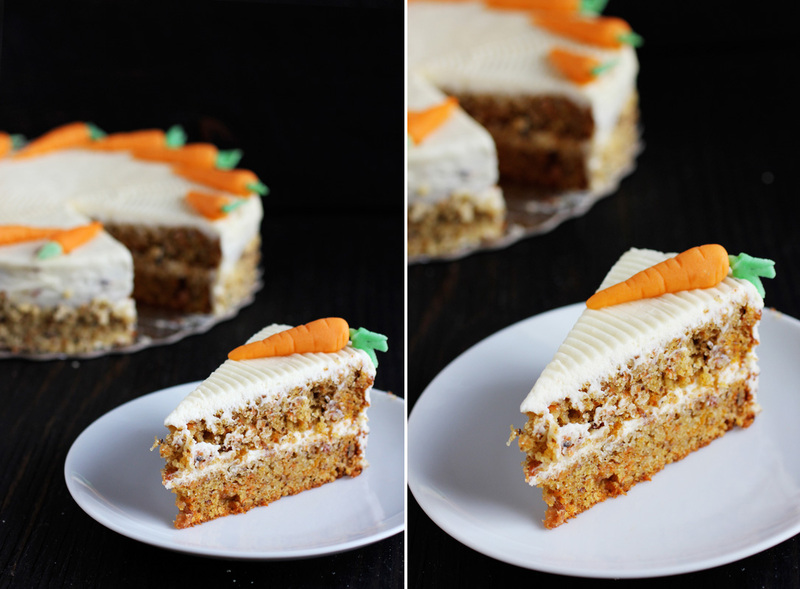 I documented the carrot cake simply because it was the first time I'd ever handled marzipan—used for the carrots—and I thought it looked neat. I'm not the greatest cake ice-er, but hopefully I'll get better, as we're making a lot of cakes this semester. 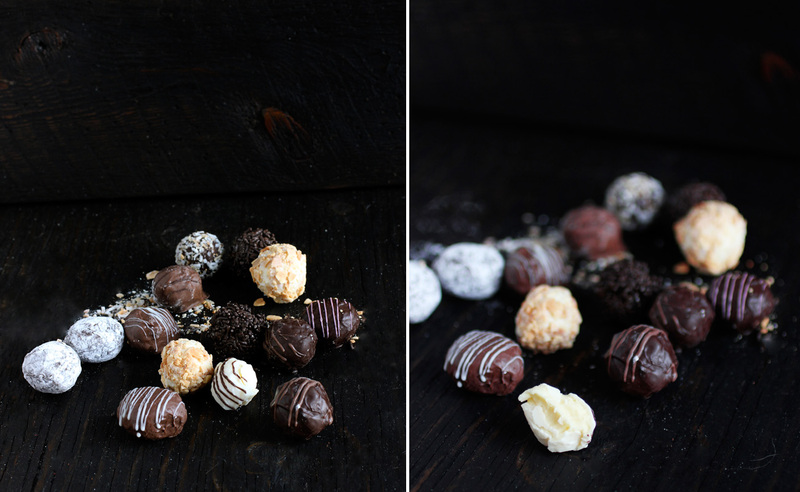 I was really excited to make truffles—I've always wanted to be able to make fancy chocolates. My skills looked promising—I was exceptionally good at rolling the soft insides as my ice cold hands prevented the chocolate from melting. Unfortunately, my cold hands were a double-edge sword. As I tried to cover the soft chocolate centers with the couverture, the liquid chocolate would solidify on my hands after only a few chocolates. I spent more of my time washing the chocolate off my hands than actually rolling it. I brought home the Valentine's sugar cookies at my mother's request—she gave them to my father for Valentine's Day. We are learning how to write with chocolate in cake decorating class, and got to practice our skills on these cookies—fun! So, this is what I've been doing at school lately. This week is reading week, so I have some time off. I was excited to do some baking for myself. Unfortunately, I woke up Saturday morning feeling quite sick, and it's getting worse. Writing this post is the most active thing I've done all day. 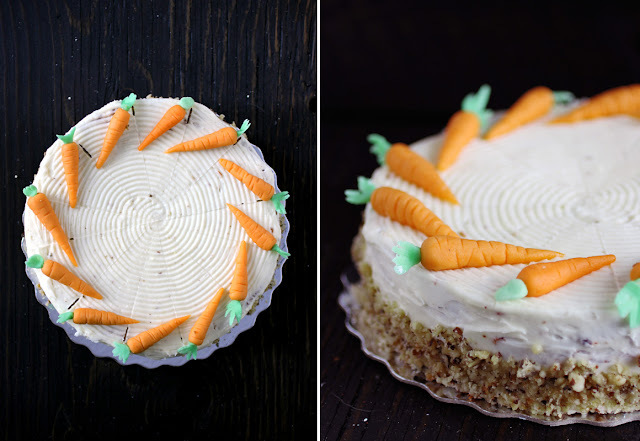 Your carrot cake is so cute!!!!!!!! I want a carrot cake! Carrot cake is my favorite! And you are really good at icing! This looks amazing! So proud of you, Beth!